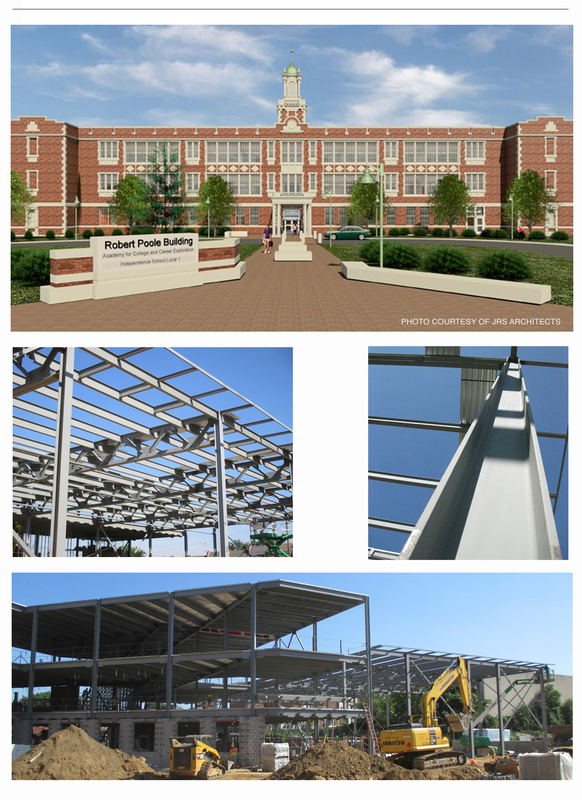 Structural engineering design for a 140,000 sf addition and renovation of an existing school facility. The renovation work includes adding a new stair in the existing main building, removal of portions of the exterior wall to provide access to the proposed additions, and removal of portions of bearing walls and areas of existing floors. The project includes construction of two additions totaling 70,000 sf over 3 stories of steel frame construction with a partial basement and includes a single story double height space for the gymnasium. Responsible for the design and detailing of the structure, development of the model in Revit, and construction administration services.